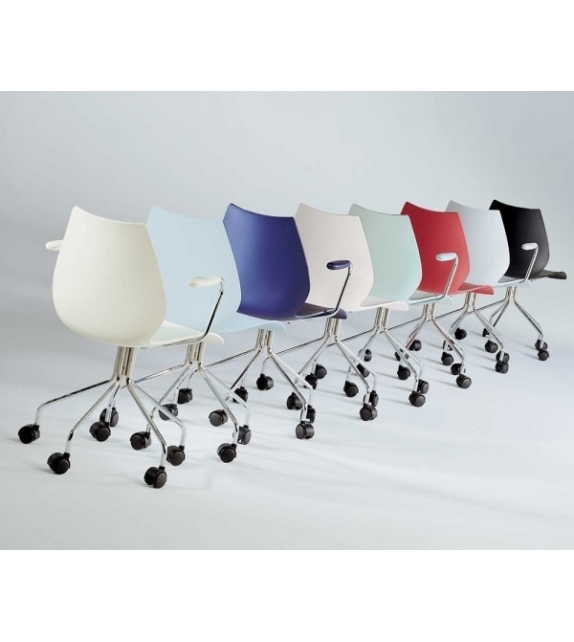 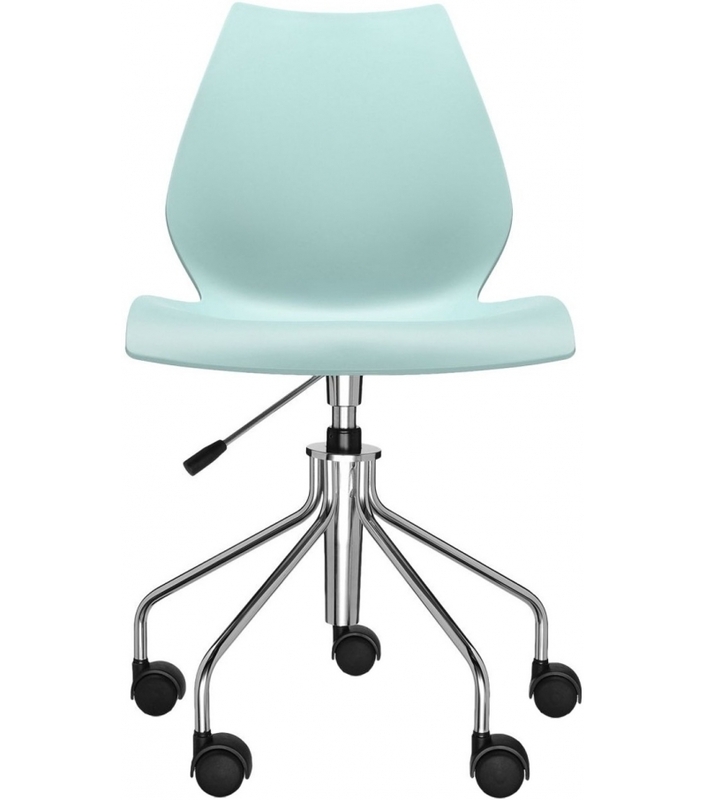 Maui is a chair designed by Vico Magistretti for Kartell. 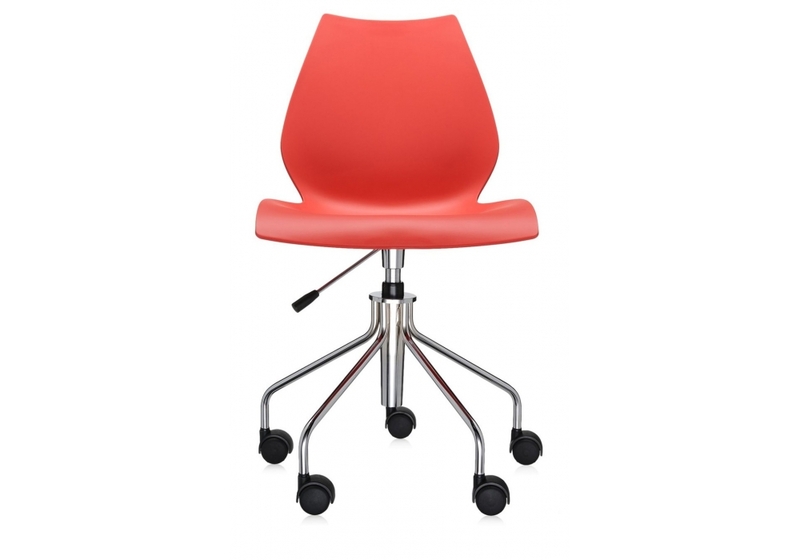 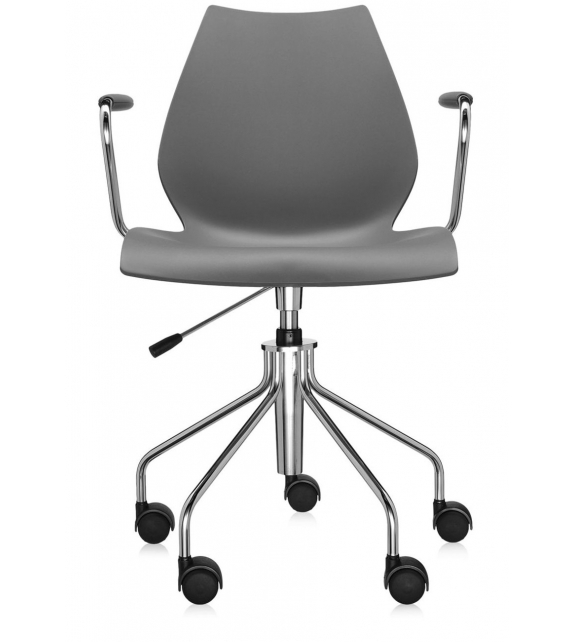 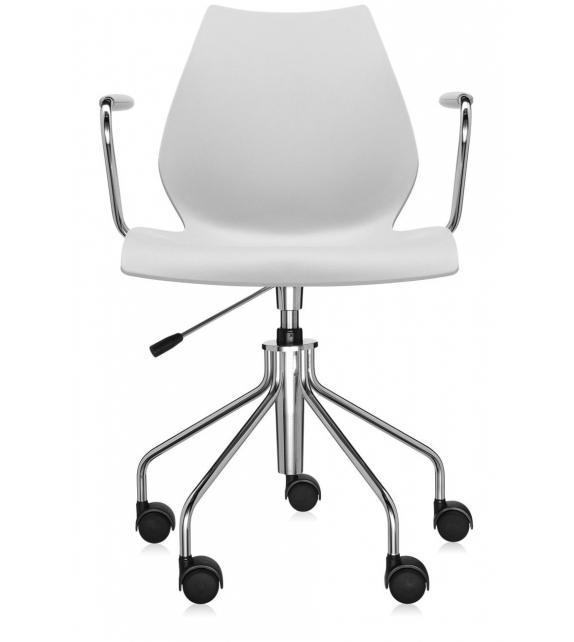 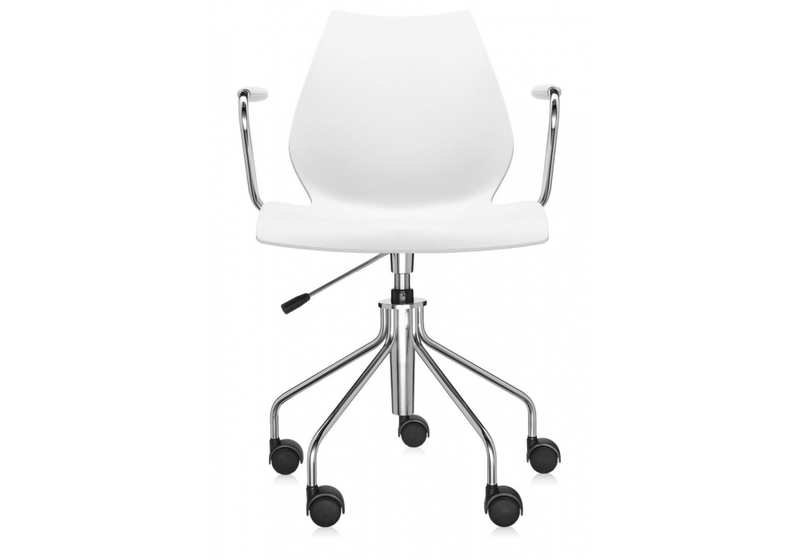 Also part of the Maui chair family is the armchair version on castors, supplied with or without gas lift pump and / or armrests. 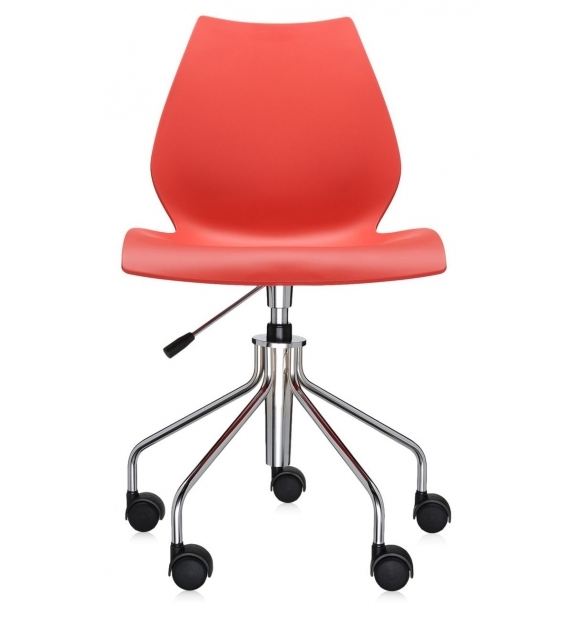 The polypropylene seat is fixed onto a chromed steel structure. 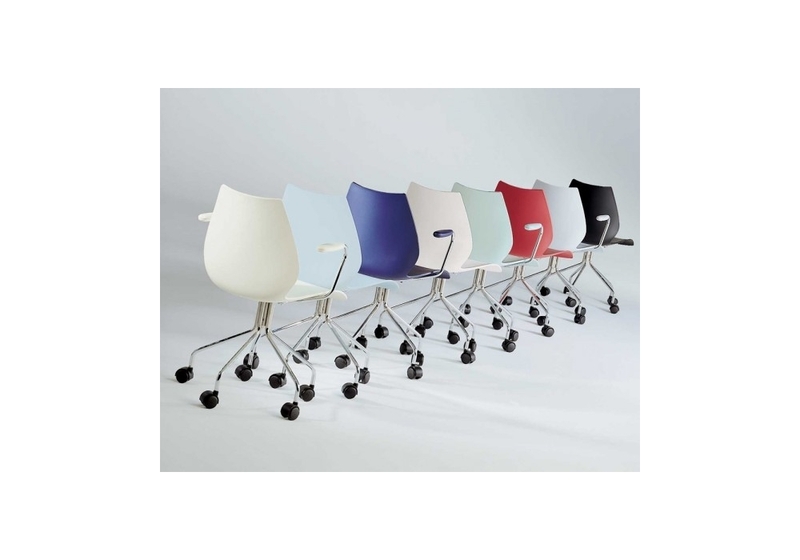 Maui is a chair designed by Vico Magistretti for Kartell. 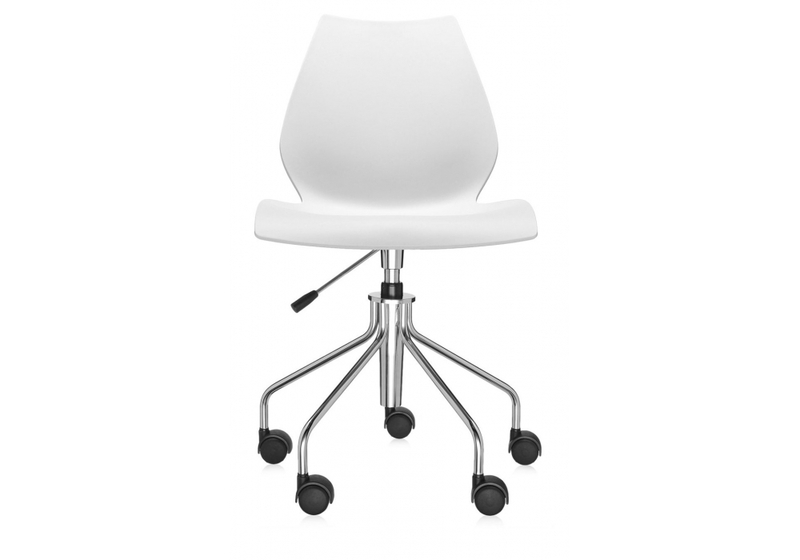 Also part of the Maui chair family is the armchair version on castors, supplied with or without gas lift pump and / or armrests. The polypropylene seat is fixed onto a chromed steel structure. 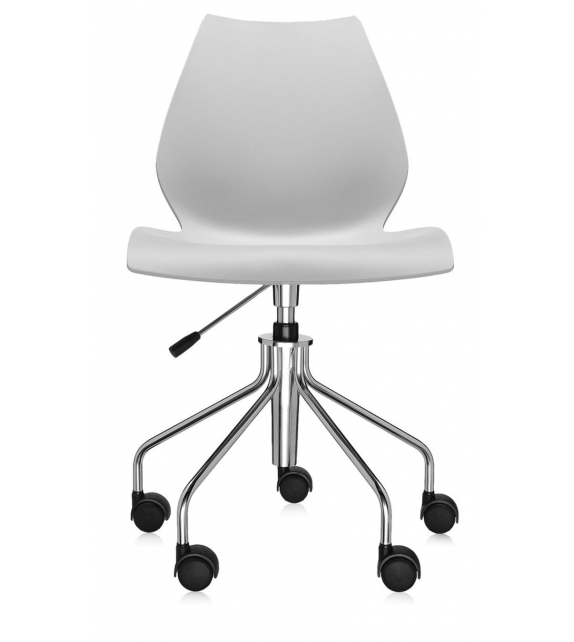 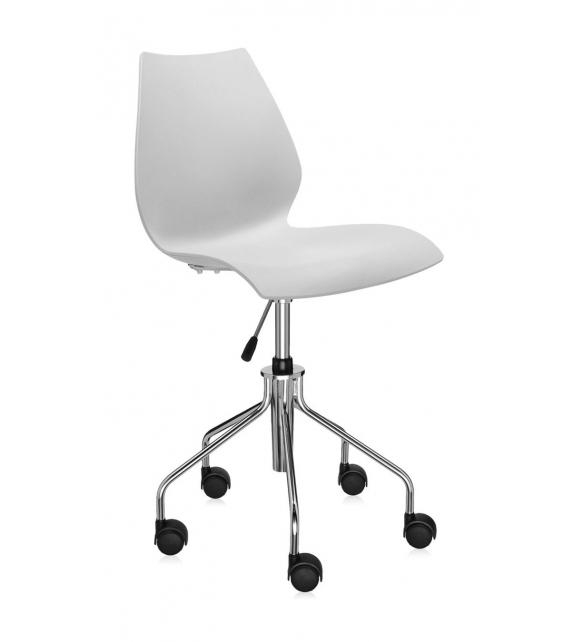 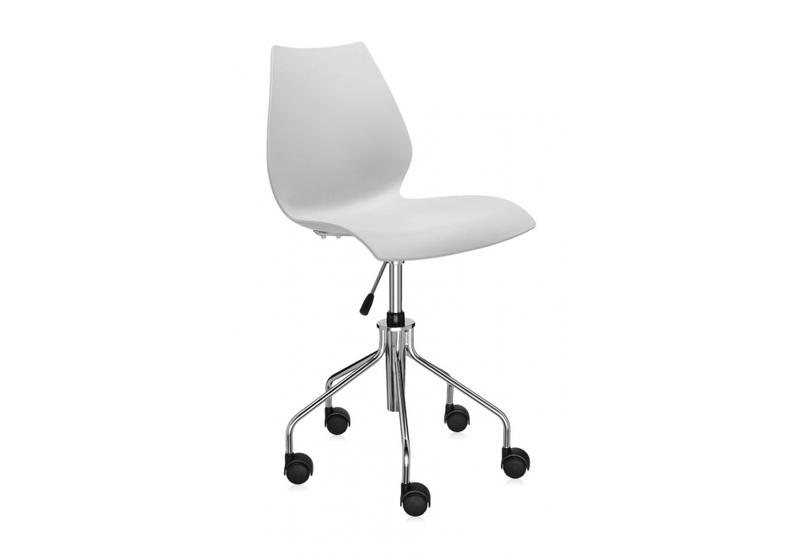 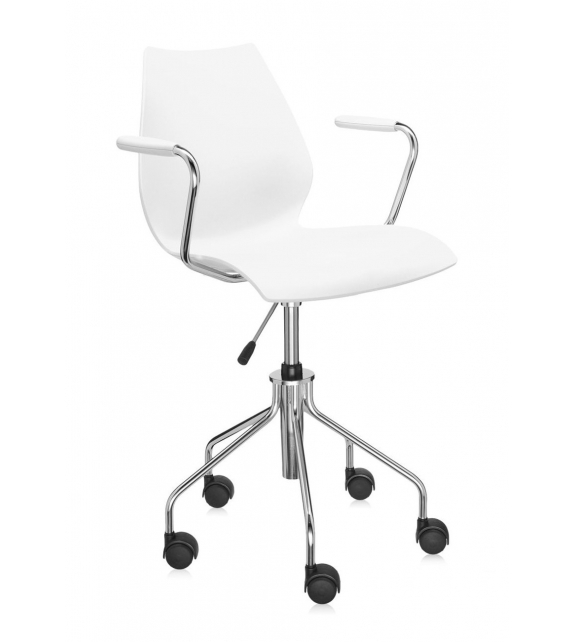 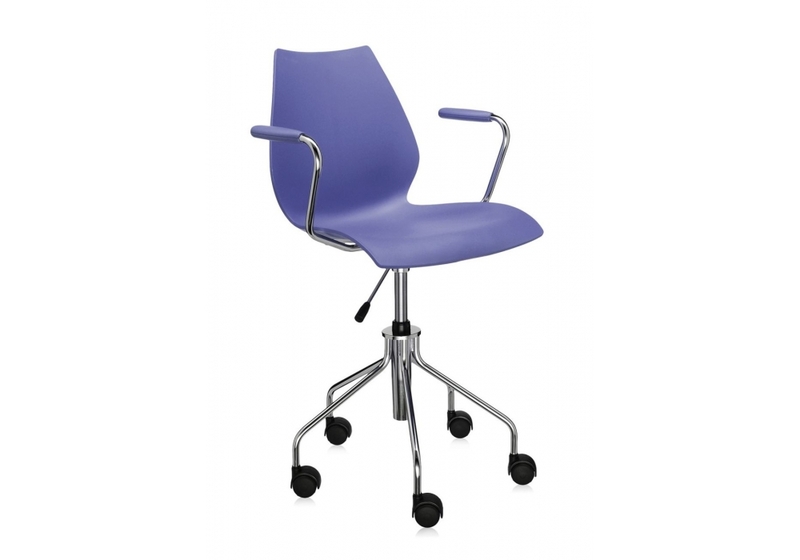 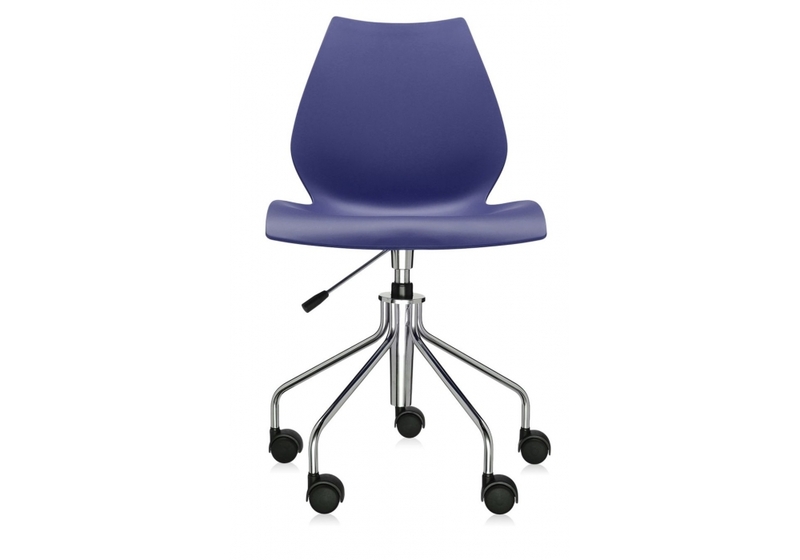 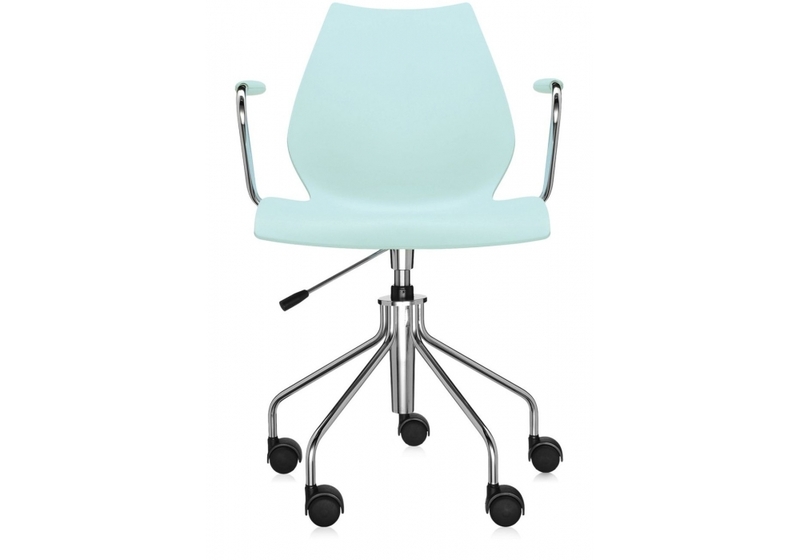 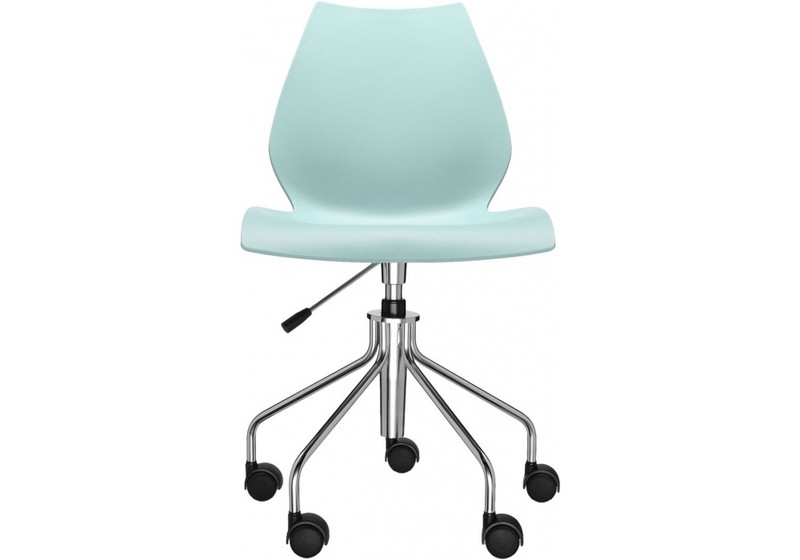 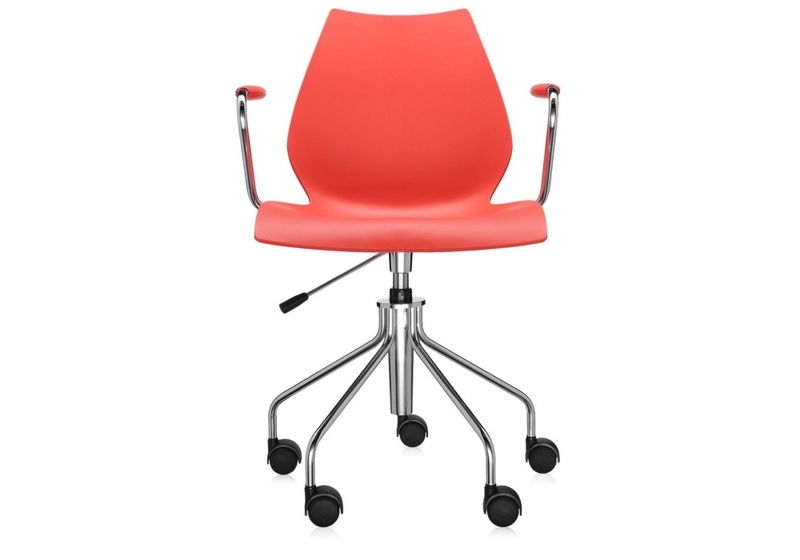 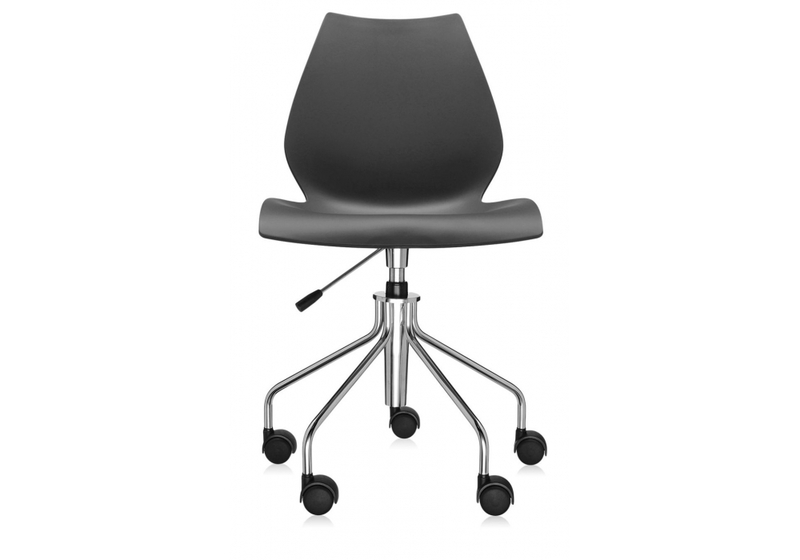 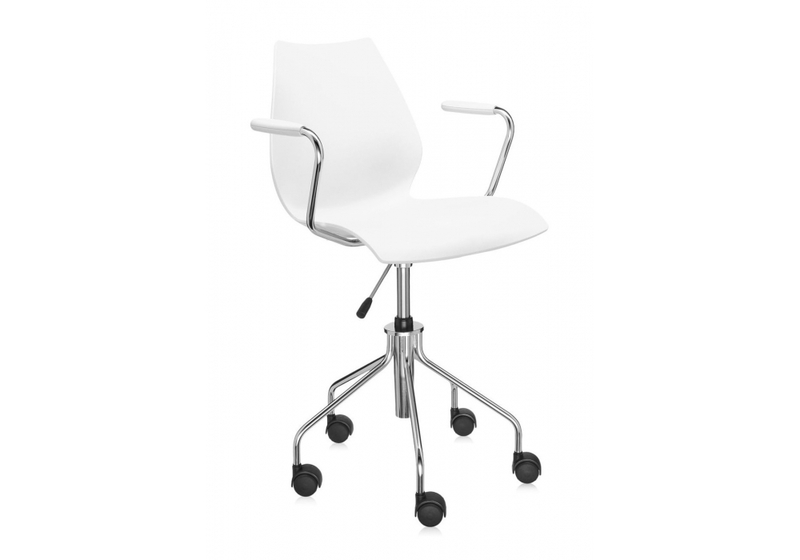 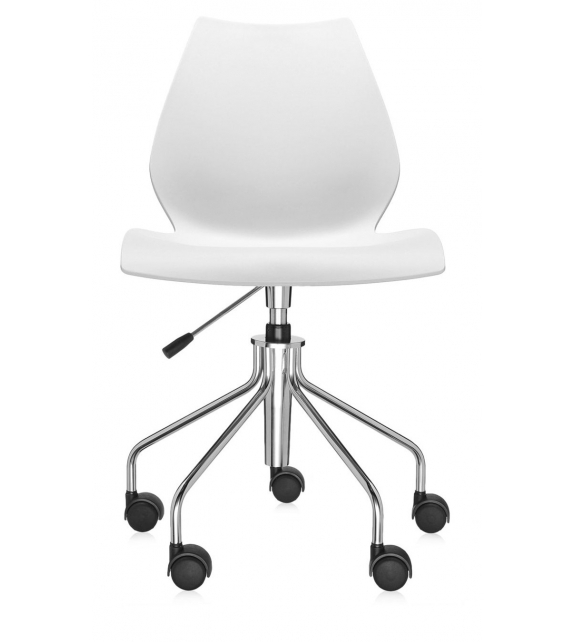 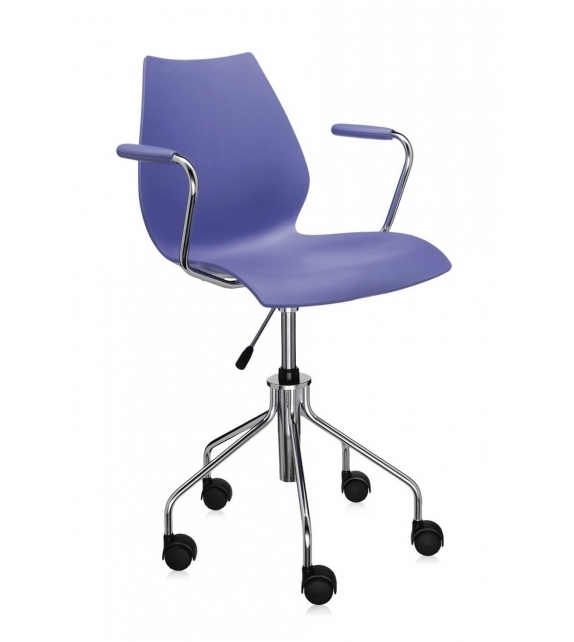 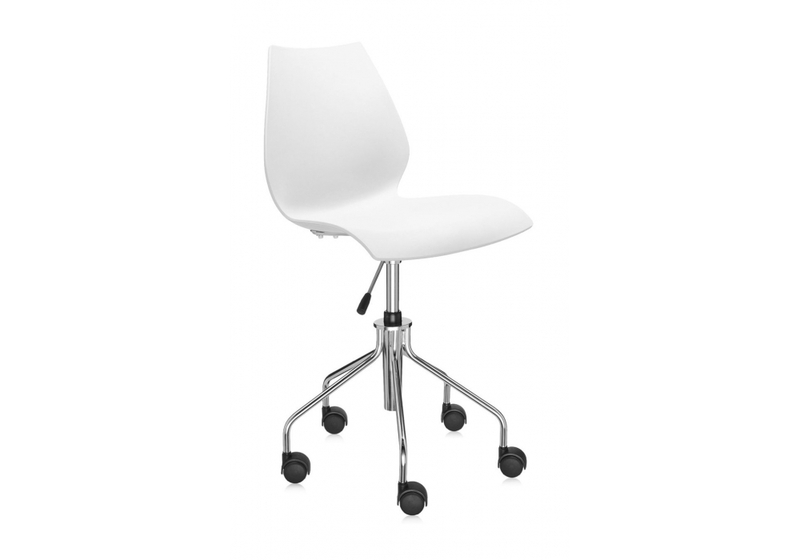 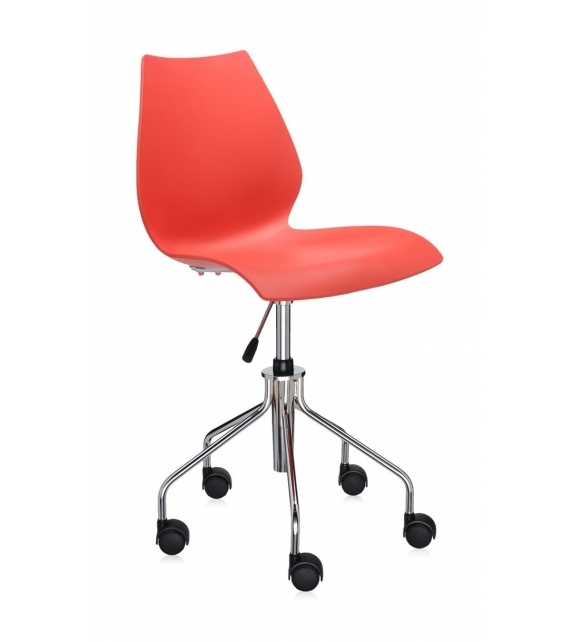 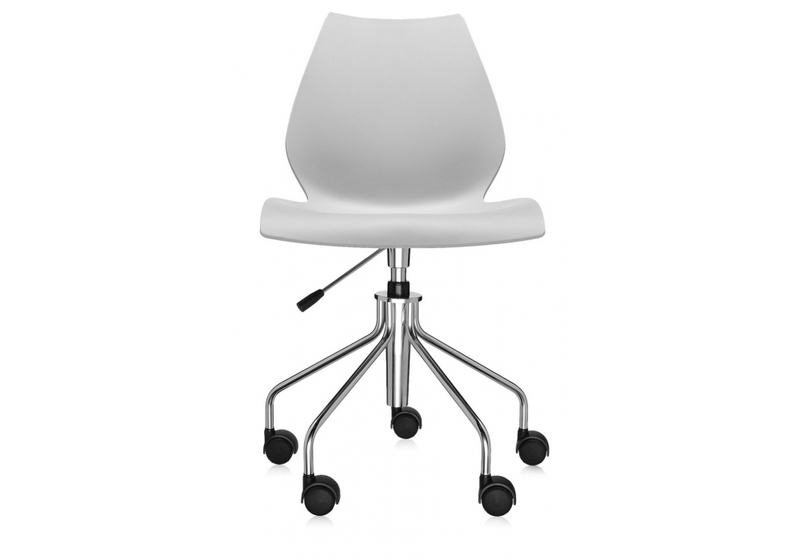 The castors are fixed to a base of chromed steel which branches out into five legs. 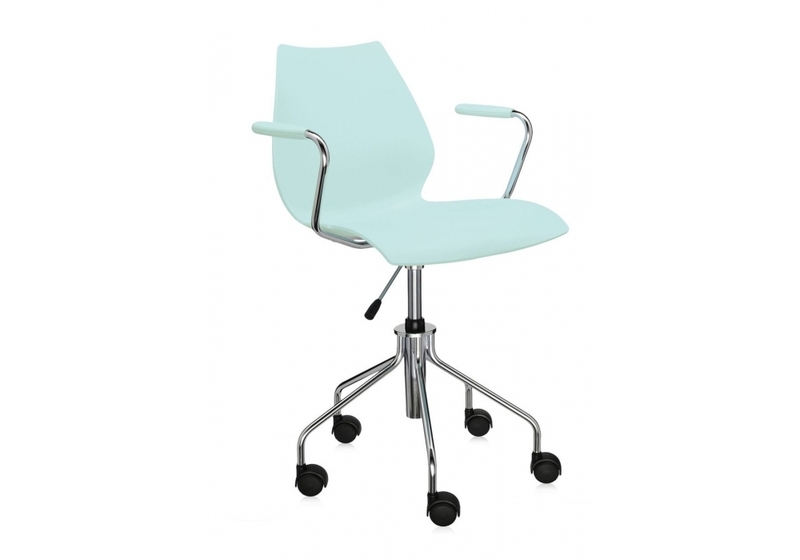 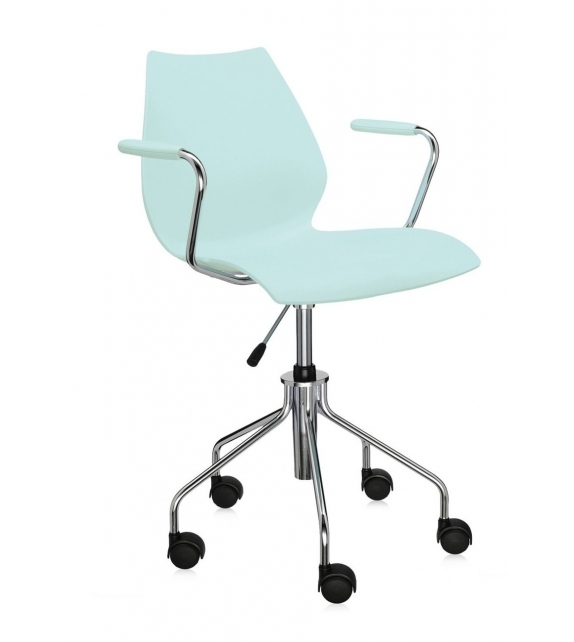 Maui on wheels is the ideal solution for the informal office and the home office, thanks also to its lightness and to the comfort of its seat.